The Plug & Jump is a very portable unit which can be carried in the aircraft at all times because it is so lightweight. It can be used to start the aircraft from an ordinary car using standard jumper cables. The Universal Model is used for Cessna, Beechcraft, etc. (3 pin plug) and the Piper Model is a single pin. 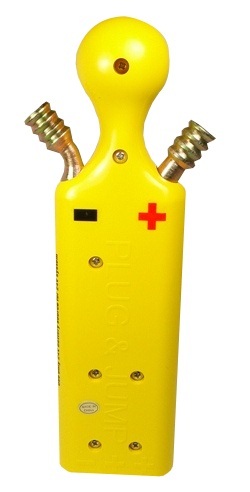 The Plug and Jump is a simple conduit of power from any external power source to the aircraft. It is not a battery in and of itself. 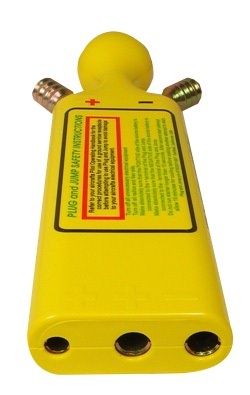 The Plug & Jump can be used for either 28V or 14V systems.